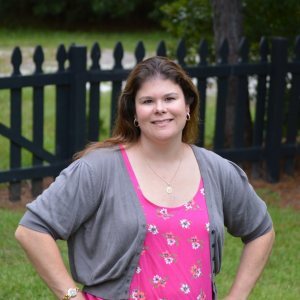 My name is Melissa Byers and this site is a one-woman show, written locally and with much love for the greater Grand Strand. My husband and I moved to Myrtle Beach more than a decade ago and raised our family here. MyrtleBeachforFamilies.com was developed to be a resource for those living in and visiting the Grand Strand area. My focus is on highlighting high quality experiences and businesses, while always keeping an eye on value. For those looking for a freelance writing and editing professional, good news. You’ve found her. For more writing samples, have a look at my contributions to the best and most popular parenting blog on the planet, the BabyCenter blog. I’ve also had the pleasure of writing and editing for other fantastic sites including KidsCanGiveToo.com, AOL Travel, and Vacatia.com. I’d love to talk to you about your project. write Myrtle Beach content for your site or publication. offer expert advice or interview on traveling to/from or living in the Grand Strand area. travel and review your resort, destination, and experience. offer parenting advice as a contribution to your site, publication, or as an interview. Check out this interview we did for WPDE. visit your business or attraction and review it. graphically advertise your business on MyrtleBeachforFamilies.com. feature your business or product on Facebook, Twitter, Pinterest, SnapChat, and Instagram. feature your business or product in a video. edit your content. Real estate agents, I’m talking to you. I adore you, but your descriptions need work and I’m here to help. Everyone else, never underestimate how harshly a potential client or customer may (unfairly) judge you based solely on an untidy website or advertising materials. I’m here to make you look good! Myrtle Beach for Families on Facebook has 1800+ likes and on Twitter 1143 followers as of February 2017. My audience is made up of a group of highly engaged locals and visitors who like, comment, and share frequently. I’m an influencer among parents and families, especially for restaurants, attractions, travel destinations, and products. Myrtle Beach for Families gets 78,000+ page views. For more information, contact me at myrtlebeachforfamilies@gmail.com. Your work is phenomenal. We like what you do for families in the Myrtle Beach area. What kind words, Joel. I truly appreciate them!